Pretani Associates attended the Somme Ceremony to mark this battle and that of Ginchy in July of this year. The Battle of Guillemont was an attack by the Fourth Army on the village of Guillemont and its capture was the culmination of British attacks which began on 22/23 July. 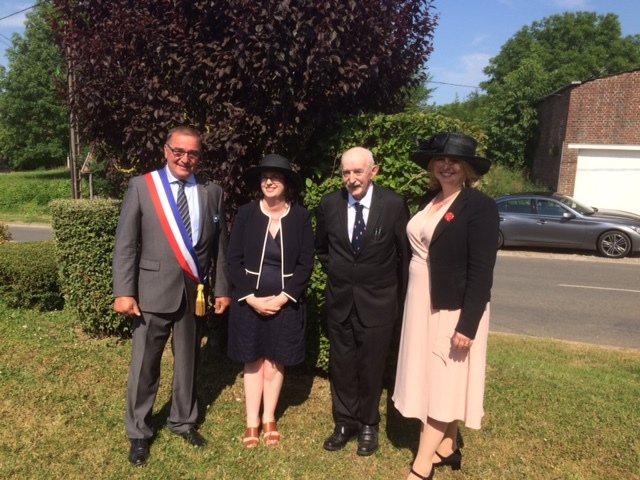 Dr Ian Adamson OBE, Vice President of the Somme Association met his friend Didier Samain, Mayor of Guillemont along with Karen Bradley, Secretary of State for Northern Ireland. He presented both with a copy of his book A Voyage to the Immortal Isles, The Voyage of Bran, Son of Febal on behalf of Pretani Associates.